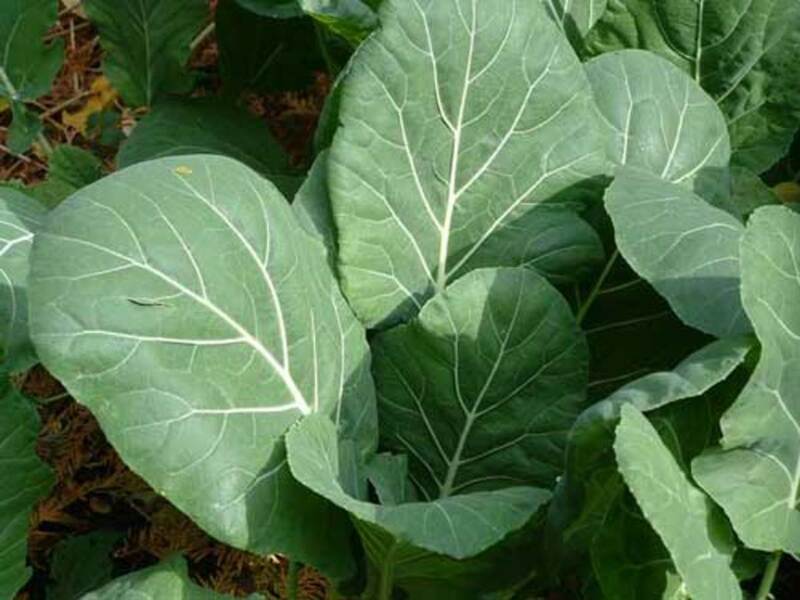 There are many ways to cook Brussels sprouts, which are very small green cabbages that grow on a stalk. 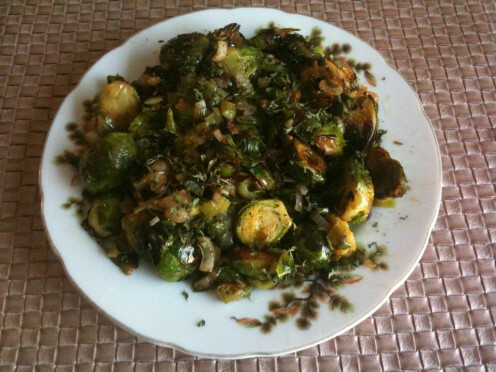 You can roast them, steam them, fry them, grill them, bake them, sautee them... No matter which way you choose to prepare this vegetable there are many delicious and healthy Brussels sprout recipes out there that will satisfy your taste buds. Below you will find one such recipe that I have come up with, along with a list of ingredients, step-by-step cooking instructions, and pictures to go along with each step. Here are step-by-step instructions on how to prepare Brussels sprouts. Take two bunches of leek. 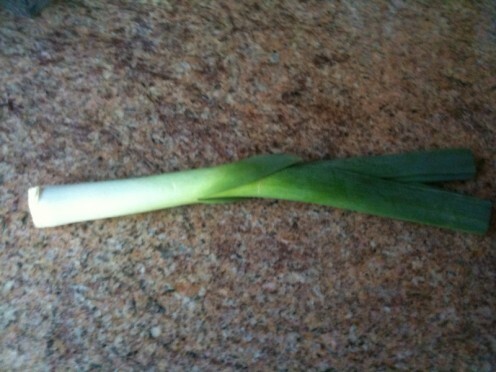 Cut leek in half (horizontally). Take apart the green stalks and set aside. Then take the white part of the leek cut in half (vertically) and take apart. Wash both the green stalks and the white ones thoroughly to remove any dirt or sand. 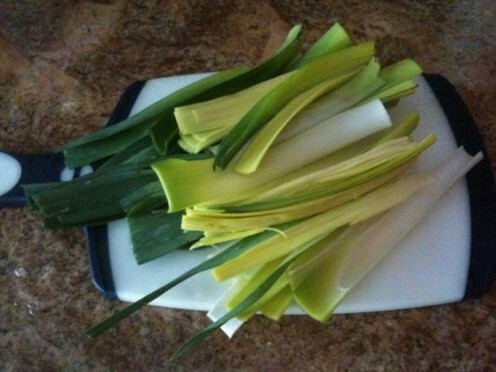 Once the leek is washed take a cutting board and cut the leek into thin slices. 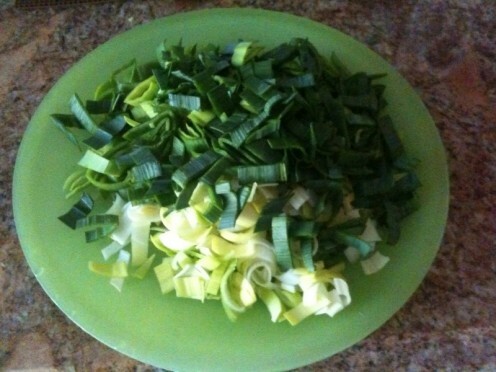 Place the leek slices into a bowl or dish. 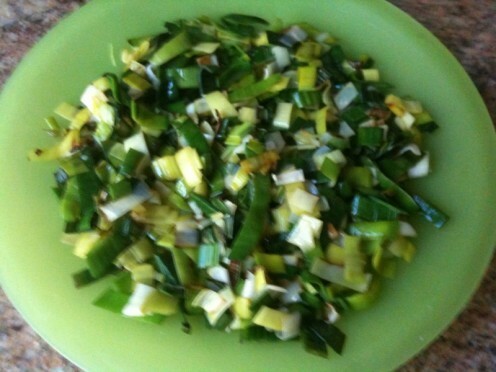 Take a stalk of celery, thoroughly wash it, and cut into cubes. Place into a bowl or dish. Take the Brussels sprout stalk and remove the Brussels sprouts from the the stalk. Throw the stalk away. Thoroughly wash all the Brussels sprouts and cut each one into four wedges. 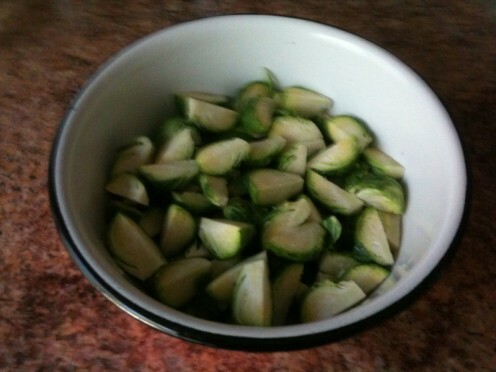 Place the cut Brussels sprouts into a separate bowl. If you go to your local store and can't find Brussels sprouts on a stalk you can buy ones that are packaged or those that are loose. Take a large skillet, add enough canola oil to cover the bottom of the skillet, and place on medium heat. Once the skillet is heated add the sliced leek and cook for approximately 5-6 minutes. Make sure you stir occasionally and add oil if needed. Once 5-6 minutes is up remove the leek into a bowl. 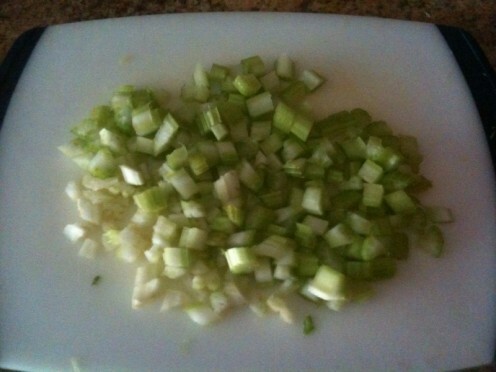 Add canola oil to the skillet and throw in the celery cubes. Cook for about 5-6 minutes. Make sure you stir occasionally and add oil if needed. 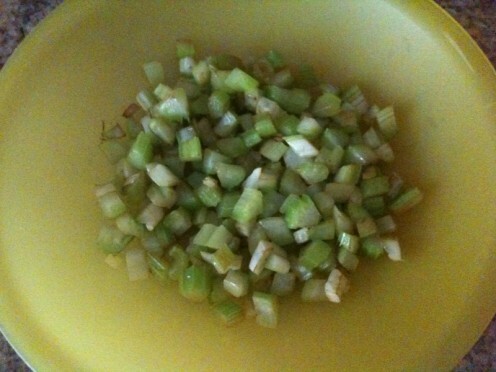 Once 5-6 minutes is up remove the celery into a bowl with the leek. Add canola oil to the skillet and throw in the Brussels sprouts. Cook for about 7-8 minutes. 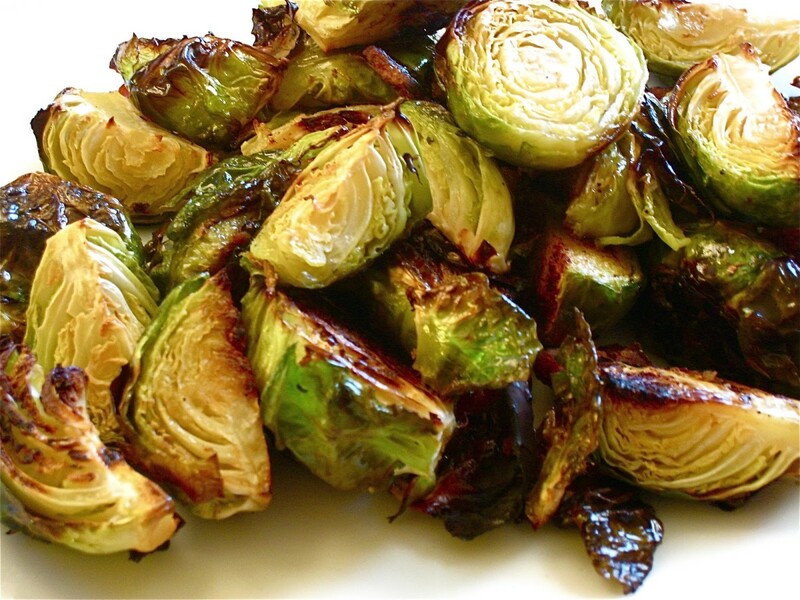 Since Brussels sprouts absorb the oil quickly, keep adding it so they don't burn or get stuck to the skillet. Then add the leek and the celery and stir. Add a desired amount of salt, sprinkle with roasted sesame seeds, and dried parsley flakes and stir. 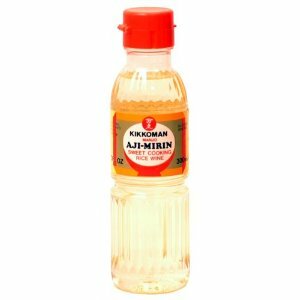 Finally, add about a table spoon of Aji Mirin (rice cooking wine) and stir everything again. Cook for about 5 minutes or so. Once done. Let sit for a few minutes and then remove from the heat. Brussels sprouts should be crunchy. If you prefer them softer then cook them a little longer. 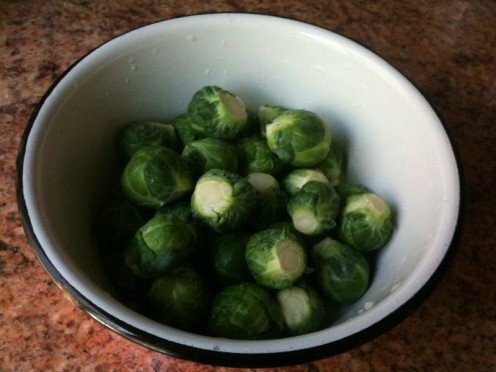 Once you have finished cooking the Brussels sprouts you can use them as a side dish to go along with your meat, fish, rice, pasta, or potatoes. 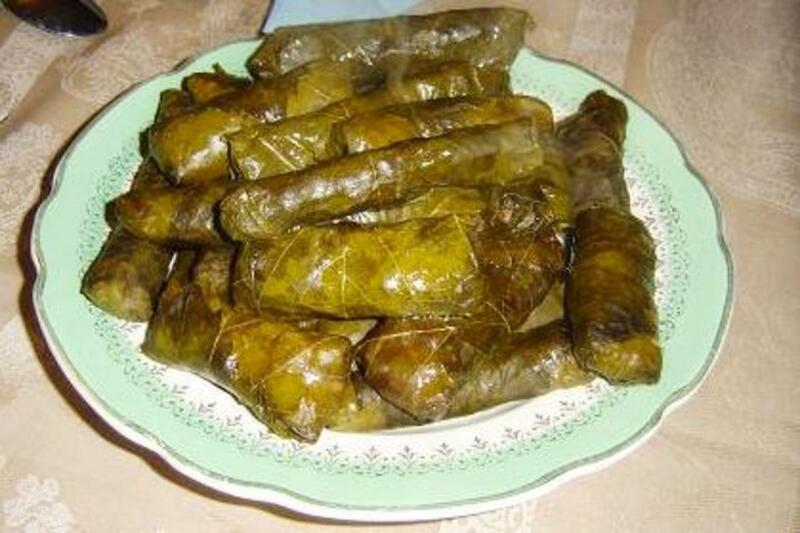 You can also eat them by themselves with some soft white bread. 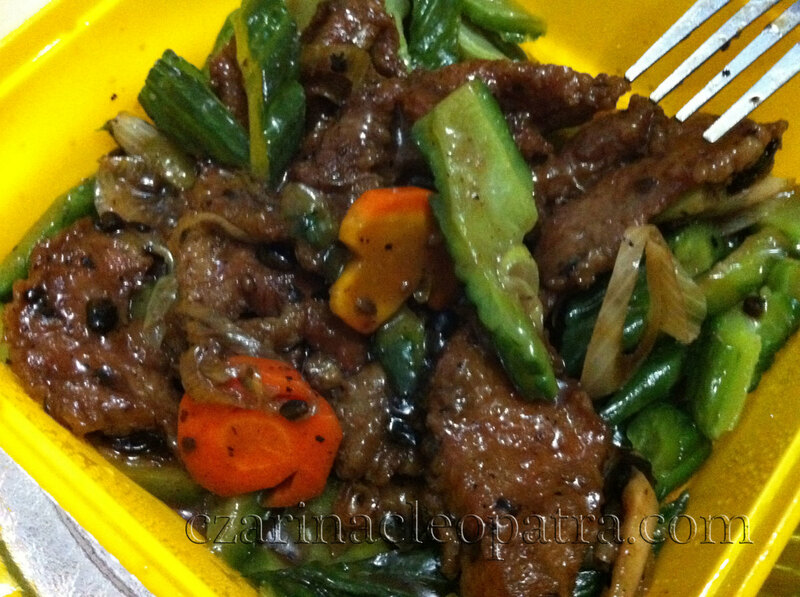 The approximate cooking time for this recipe is 30 minutes. Fry the chibolita onions and set aside. Fry the Polish salo in a skillet or frying pan. Then remove it onto a plate and set aside. 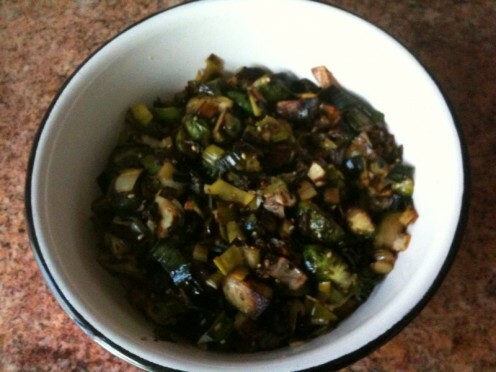 Fry the Brussels sprouts in the oil from the polish salo. When it is almost done cooking add the fried chibolita onions and the polish salo. You are now ready to enjoy your Brussels sprouts. This looks like an interesting way to fix Brussel sprouts that I have not yet tried. I've been cooking with leeks more now so it will be a good way to combine the two. Thanks. lee custodio - Thank you so much for commenting on this hub. Hope you get to try it. Brussel Sprouts is one of the most overlooked veggie. I like your recipe--simple, easy, and have a very few ingredients. thanks for sharing! great hub.